California Condor Facts - Where Do California Condors Live? - What Do California Condors Eat? California condor facts take you to the deep insight about this large endangered species. California Condor belongs to the family of Cathartidae and is a member of a genus Gymnogyps californianus. It is by far the largest bird of prey in North America and it mainly inhabits in Southern Utah and Arizona, including the National Park. These species are normally found in the Southern and Baja California. Population had been known to decline in the 20th Century due to various reasons. Habitat destruction is one of the chief reasons of this much falloff. Few of the biggest predators who usually take their young are bears and Golden Eagles. 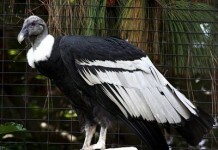 George Shaw was the first naturalist to pronounce California condor back in 1797 by the name of Vultur californianus. These birds are similar in their outlook to New World Vultures and Old World Vultures. They have long been recognized as the subject of different myths and stories. California condor is predominantly black with white lineages underside wings. The wingspan measures around 2.49 – 3 meters (8.2 – 9.8 feet), with the highest wingspan of 3.4 m (11 feet) had also been reported. These birds weigh about 7 – 14.1 kg (15 – 31) lbs, together with an average weight of 8 – 9 kg (18 – 20 lb). The lifespan of California Condor is 60 years. California condor has grey legs, reddish-brown eyes along with an ivory-colored bill. The males are larger in comparison to the females. These birds are 109 – 140 cm (43 – 55 inches). These species have sharp and orthodox talons with one toe being the longest among the other two. 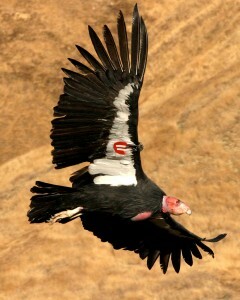 The flying speed of california condors is 90 km/h (55 mph), and it can fly at a height 4,600 m (15,000 feet). One of the common roosting places is high perches so that they can fly easily without making any extra flapping efforts. They take regular showers and are often found while preening their feathers. Where Do California Condors Live? These birds of prey primarily exist in the North America and are believed to roam across the Southwest and West American Coast more than 500 years ago. They are found in Arizona, Nevada, Mexico, and Columbia River. While marveling into the California condor facts about its migration, we know that these large birds are renowned to cover 250 km (150 miles) of distance in search of food (mostly carrion). They build their habitats on high rocky cliffs, rugged mountains, canyons, wide areas like open scrubland, oak savanna, coniferous forests and foothills. What Do California Condors Eat? California condor facts about its diet exclaim that these birds of prey primarily feed on carrions for which they can travel great distances. They largely feed on mammals including sheep, donkeys, goats horses, deer, pigs, cougars, bears, and cattle. Smaller mammals include rabbits, hares, coyotes, whales, salmon, and sea lions. As compared to turkey vultures, these birds do not have a sharp smelling sense due to which they rely on eagles and vultures to locate dead animals. They can go by couple of weeks without taking any food. These condors take 1 – 1.5 kg (2.2 – 3.3 lb) meat in one time. These birds turn out to be mature after 6 years. 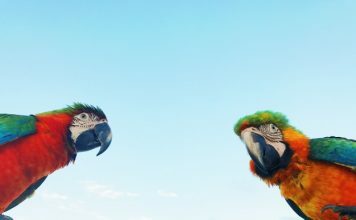 Unlike other avian creatures, these species have unique way of attracting their mates. 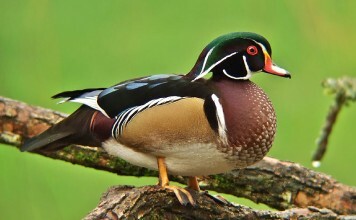 While indicating its interest toward female mate, the male begins to turn his head red and wisp out his feathers. If the female drops her head too, then they become mates for life since they are monogamous birds. They build nests in rocky crevice or cliffs where the trees are abundant. The female lays eggs in the breeding season which lasts from March to February. These eggs weigh around 280 grams (10 oz), and are 90 – 120 m (3.5 – 4.75 inches) long, with the width of 67 mm (2.6 inches). The clutch size comprises one egg only. The hatching period ranges from 53 – 60 days. 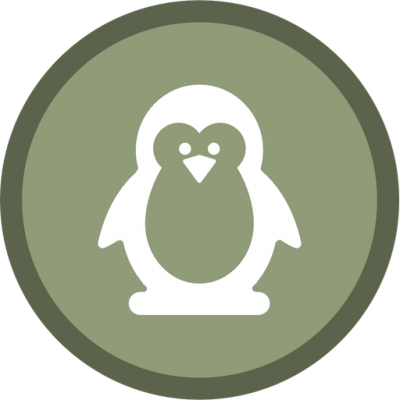 Both males are females are responsible for incubating (keeping warm) eggs. The chicks begin their first flight after 6 months. These juveniles stay with their parents until the second year of their birth.